Beautiul! Review by Julie A. 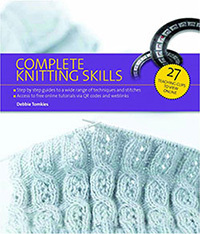 This book is an excellent addition for any stitch library. The author provides clear instructions for both charted and written patterns and gives detailed descriptions for what each pattern should resemble when finished. 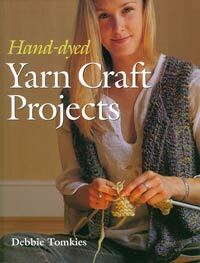 Good suggestions and information about yarn and needles, too. I recommend it for beginner and experienced alike. And, it is nice to have a book “hot off the press”! I’ve been wanting a book like this for years! It just arrived in today’s mail; so I haven’t actually used it yet, but I have leafed through and It’s wonderful. Best gift I’ve bought myself in ages. Arrived on time, easy read and explains dyeing well. Lots of ideas for projects and ideas of what to actually do with the yarn once you have dyed it – which is always a challenge as you can make only so many scarfs!!!!! A detailed guide on hand dyeing with synthetic dyes and some great projects to try out your newly learned skills on too!